One of my bigger projects I’ve had on my baby-prep to-do list has been to make some quilted pillowcases for the baby’s room. I have an old Ikea chair that I’ve put in the room but it has quite a lean on it (it also bounces lightly which should be good for those unhappy hours when baby doesn’t want to sleep). 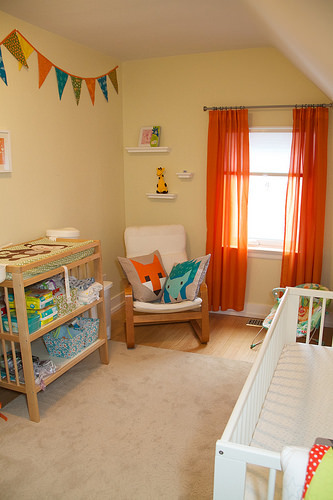 I wanted to have extra pillows in the room for propping myself up for breastfeeding and just general baby usefulness. 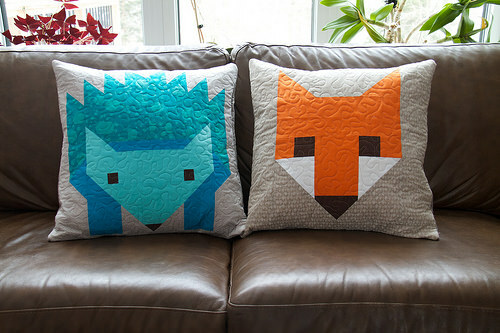 I am an avid follower of Elizabeth Hartman’s quilting blog Oh, Fransson!, and she recently came out with these adorable fox and hedgehog patterns, which perfectly go with the blue and orange accent colours I’ve been working with for the baby’s room. 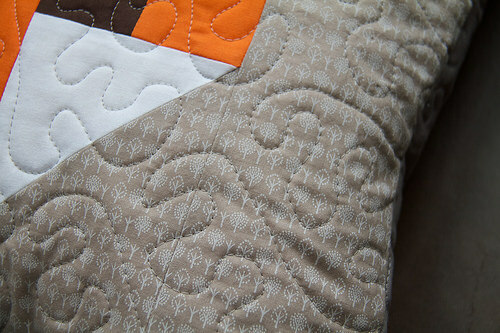 She even conveniently wrote up a 20″ pillow block pattern (just for me, I’m sure). 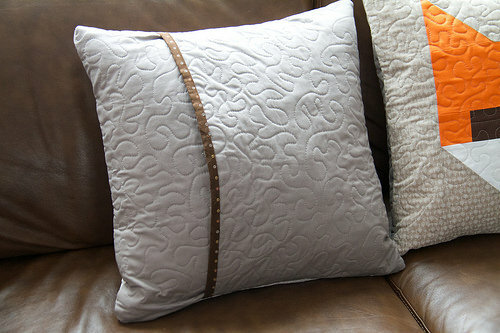 There are numerous variations on the patterns so if you want this 20″ pillow specifically, check out her pattern shop. I did the backgrounds of each character in a neutral gray print that I think works perfectly with each character. I can’t remember what these were called but I know I got them at Fabricland — they’re probably a Michael Miller print. The fox has what looks like a tiny forest in the background, and the hedgehog has a tiny hill pattern. I wanted to avoid anything too white in case these get barfed on (which they probably will, repeatedly). I’m so happy with how these turned out. Hedgehog is definitely more work than Fox, but I worked these up in a little more than a day, so they are actually pretty straightforward. 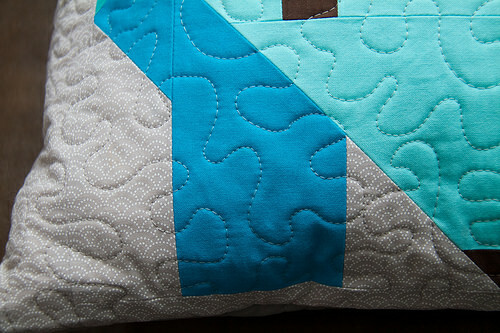 I’m tempted to do a baby quilt in them too, to match. Who knows. Since my due date is still a few days off, I just might be able to pull that off too. These pillows might also serve to help keep the cat off the white Ikea chair… this chair has been at the cottage for years now, and we recently brought it back since we now have space and a purpose for it. I had forgotten how much kitties loved this piece of furniture. Smokey has been spending his days in it for the last few weeks and it has the hair on it to show for it. I just may have to move Smokey’s cat basket into the chair, if these pillows don’t work to keep him out. Anywhere Smokey decides to spend his leisurely hours is always quickly covered in a fine silken mat of super sticky hair (especially come spring).